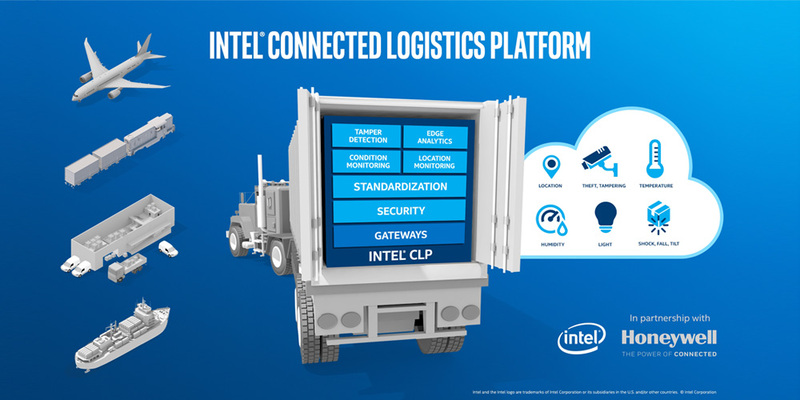 Intel today announced the launch of the Intel® Connected Logistics Platform (Intel® CLP). The platform gives companies unprecedented levels of insight into the status of assets during their journey through the supply chain, allowing them to make intelligent, real-time decisions that can minimize loss or spoilage of freight, maximize asset utilization, and optimize end-to-end supply chain operations. 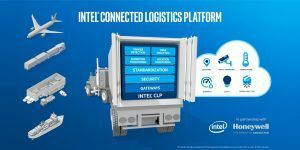 Intel’s announcement was made in conjunction with Honeywell* unveiling its Connected Freight* solution – based on Intel’s Connected Logistics Platform. Intel CLP is designed to solve these pain points. Taking advantage of a scalable Internet of Things architecture, Honeywell’s Connected Freight solution featuring Intel CLP consists of cost-effective sensors that can be attached to packages or individual assets. These sensors communicate wirelessly with a cellular- or Wi-Fi-enabled gateway that can travel with the shipment or be installed as fixed infrastructure. Honeywell’s Connected Freight solution can provide real-time status updates of each shipment’s location, temperature, humidity, shock, vibration, tilt, pressure, proximity and exposure to light. Logistics service providers and shippers can use the platform’s alerts to make real-time decisions that can reduce operational costs, maximize utilization of associated assets, as well as increase service levels to customers. Highly granular data can also assist companies in planning and predicting future operations to proactively avoid problems and greatly improve overall supply chain efficiency. The data gathered and communicated en route by smart and connected shipments will help industries not just track goods, but also improve business decisions like rerouting if demand shifts or intercepting a damaged shipment. By analyzing data from thousands of shipments, logistics service providers will be able to predict and avoid routes where damage or delays are likely, establishing a more reliable distribution network. Honeywell’s Connected Freight solution featuring the new Intel CLP is available for logistics providers. For more information on the Intel Connected Logistics Platform, read the solution brief. To watch a replay of Honeywell’s Connected Freight announcement with Intel, visit Honeywell’s website.